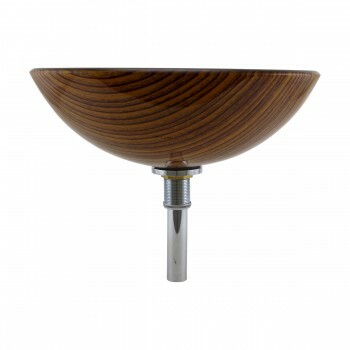 Glass Vessel Sinks: Wood Grain Washbowl measures 16 1/2 in. in dia. x 6 in. deep x 1/2 in. thick. Find the right faucet to complement your sink-seeRenovator's Supply's selection of faucets.